Hundreds of angry bees swarm over the veiled face of Jean-Louis Mendy as he inspects several beehives in Niaguis village, in the Casamance region of Senegal. Not long ago, it might have been members of neighboring communities angrily confronting Jean-Louis. But the bees are bringing the two sides together. "There was a problem of access to natural resources, and the boundary lines of villages," he says, explaining longstanding conflicts. But a beekeeping project launched by Catholic Relief Services is showing communities how they can resolve conflicts and improve their villages through sustainable economic activities. The idea is pretty simple—if the people learn to work together, these hives produce more and better honey, and the communities make more money. The project, known as Strengthening Community Opportunities for Peace and Equality—or SCOPE—is showing them how to do that. It is supported by the U.S. Agency for International Development's Office of Conflict Management and Mitigation, and CRS. It was a rocky start, Jean-Louis reports. "During the first meeting between several communities, no one came," he says. "But eventually, people discussed the possibility to come and work together, and there has been a real impact. We share many things." The project launched in 2013 as conflict in the Casamance region was tapering off. Violence had claimed as many as 6,000 civilian lives and displaced 60,000 people. Today, poor national resource management is the root cause in 81% of intra- and inter-village conflicts in Casamance, according to a CRS assessment, so communities have limited capacity to resolve them alone. SCOPE organizes workshops that introduce technical training in beekeeping, while teaching good governance, leadership, how to integrate young people and women into the economy equitably, and how to resolve conflict peacefully. "The CRS project helps reinforce the relationships between communities," says Imam Aliou Badara Biaye, an influential religious leader. "I have learned about conflict resolution, and now I can share recommendations with the community. After a conflict is resolved, we discuss topics like leadership and gender," he says. "I tell people that men and women have the same rights. Everyone should have the opportunity to contribute to the community. Development is for men and women. We must all work together closely." Avva Badbadji, another community beekeeper, explains, "When you understand the conflict, you can't go back. Now we have the capacity to resolve it." 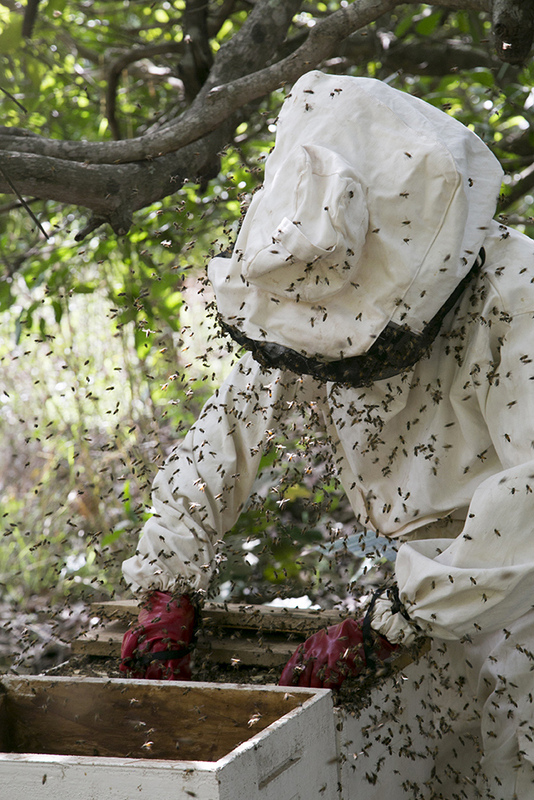 Beekeeping is not new in Senegal, but with few resources, the traditional methods produced less honey and it was of lower quality. "In the traditional process, there wasn't much material. Now we use protective equipment, smoke and a box for the hive, so the quality of our product has improved a lot," says Jean-Louis. About two cups of honey used to sell for $2, but with the training and equipment provided by CRS, beekeepers can now sell the same amount for as much as $6.50. The profits don't go only to the beekeepers, but to the entire community. "The first objective is to support schools, because it's an inter-village project," Jean-Louis says. 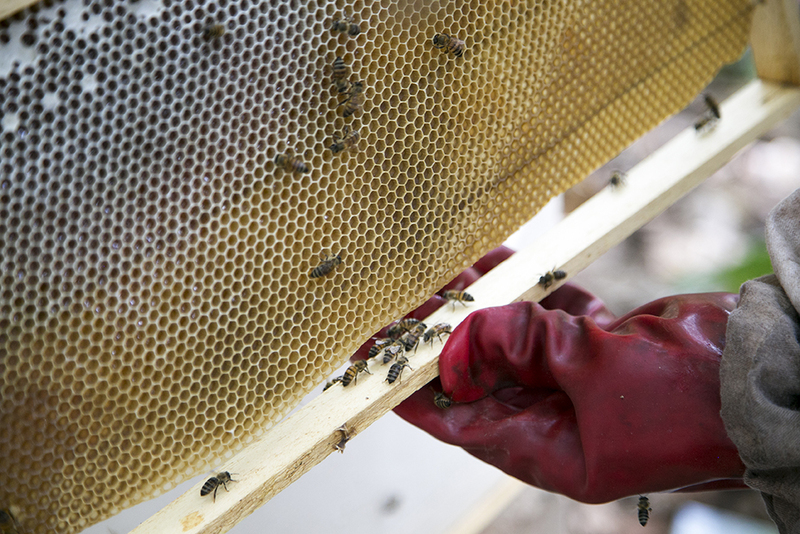 Some money is reinvested in the beekeeping business to ensure long-term sustainability. "Five years ago in this area, everyone was displaced because of conflict. The area was insecure," says Imam Biaye. "Now, people have returned. We're working towards a sense of peace, not conflict."